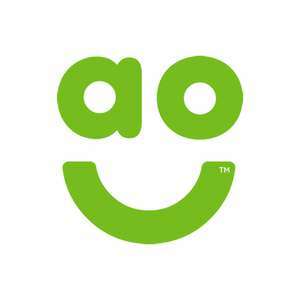 10% off everything in AO eBay store. Over £40 Spend! As title states 10% off everything in AO eBay store. Use code at check out. First post so hopefully hasn't already been posted. Max discount is £250 and minimum spend is £40. @BFCsider & @Mrswitch Thank you both. Hope you find something of interest on the deal! @BFCsider & @Mrswitch Thank you both. Hope you find something of interest …@BFCsider & @Mrswitch Thank you both. Hope you find something of interest on the deal! Cheers M12UK - got them to price match a recent purchase against their eBay account, thanks! is it applied to AO store only? I am interested in Nintendo switch but can't find Nintendo switch in AO store. 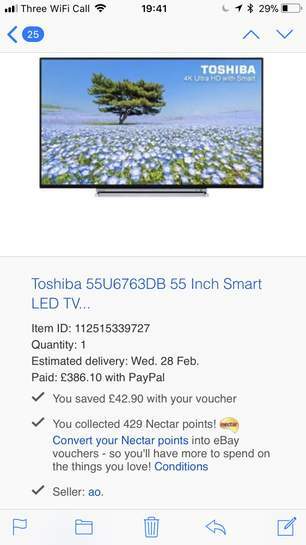 Or does this code work if purchase from any ebay seller? tks. is it applied to AO store only? I am interested in Nintendo switch but …is it applied to AO store only? I am interested in Nintendo switch but can't find Nintendo switch in AO store. Or does this code work if purchase from any ebay seller? tks. don’t seem to be working when i’m trying to place a order over £300! Thanks op. potentially saving me £148. Hopefully not the ex-girlfriend, lol! Voucher posting newbie! This is M12UK first voucher post. Help out by leaving a posting tip or just to show your appreciation for their contribution.